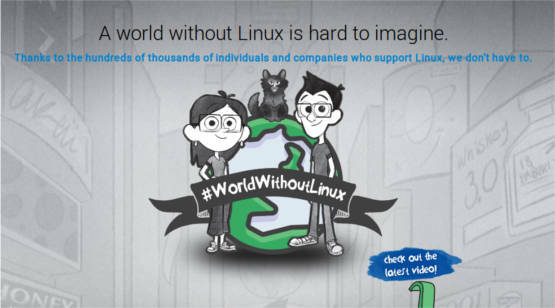 Linux foundation is releasing a new video series called World Without Linux. The video series is associated with 24th anniversary of the first Linux kernel release, and try to prove and give awarness to people what happen if Linux is not there today. The first episode finds two characters Sam and Annie attempting to find the answer to a question that today we’d find in 20 seconds on our phone using the internet. But in a world without Linux, a trip to the library and a search that costs a whole day is required. So Linux is working 24×7 all over the world under the hood. World Without Linux Episode #1: What’s the Name of That Song? Remembering who sings your favorite song is a lot harder without Linux. World Without Linux Episode #2: Are We There Yet? Without GPS on your phone, finding your way is hard. In a world without Linux, we’d all be lost. World Without Linux Episode #3: Can I Follow You? Without Linux, social connections through Facebook and Twitter might not exist. Imagine a #WorldWithoutLinux It’s pretty hard to do. Released on past anniversaries of linux.